-What's inside: 2 High Quality 3D model and detailed enough for close up renders and both has different materials. 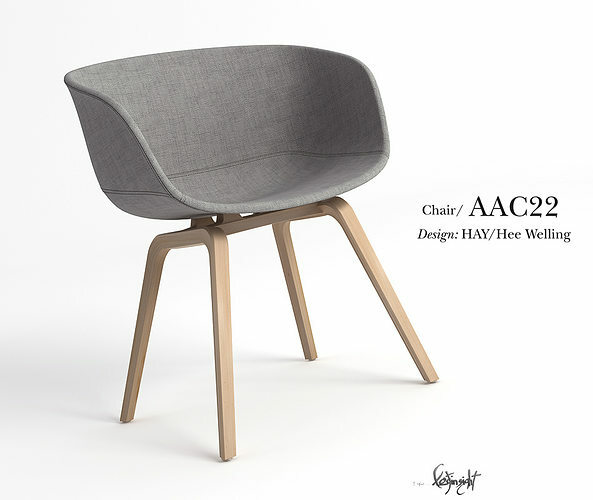 Excellent chair design, models are scaled in real world measurements. -realistic vray materials for upholstered seat and combine with its hardwood Oak veneer base finish. -polys: 5, 388 K each of the model. -verts: 5, 757 K each of the model. -Compatible with 3dsmax 2009 UP to current version’s and vray 1.5 UP to current version. Thank you so much guys for the feedback.just pm me for less.really appreciate it and i hope to make a new models for all of you.